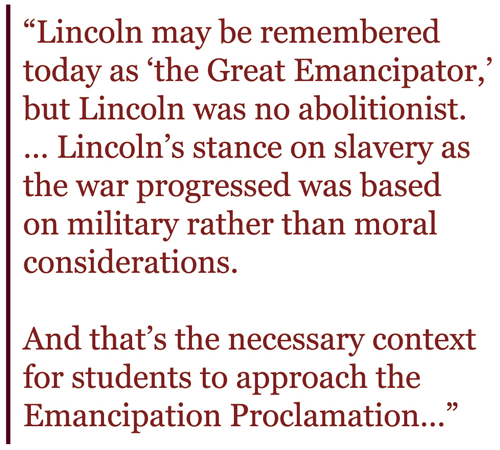 Here is a link to a lesson plan about the Emancipation Proclamation for grades 9 – 12, although I think it could be altered to fit middle school. The lesson focuses mostly on the Proclamation and little leading up to it (like the fact that Lincoln began the presidency by not wanting or intending to free slaves), so maybe altering this lesson plan and using the resources offered by Bill Bigelow’s Rethinkin’ Lincoln article would give a more accurate and more interesting picture. 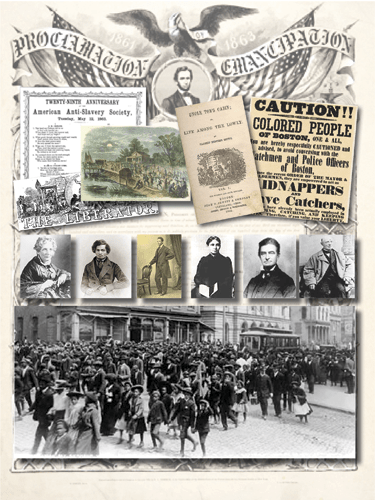 What this lesson plan does well is explain how the Proclamation wasn’t perfect and the effect it had on the people at the time by not guaranteeing equality for all. Also, look at this new website to explore! It’s called Edsitement. I see whatcha did there. Looks like it’s for social studies and English and other subjects.